I am loving so much meeting new ladies in my area and creating new things for them. 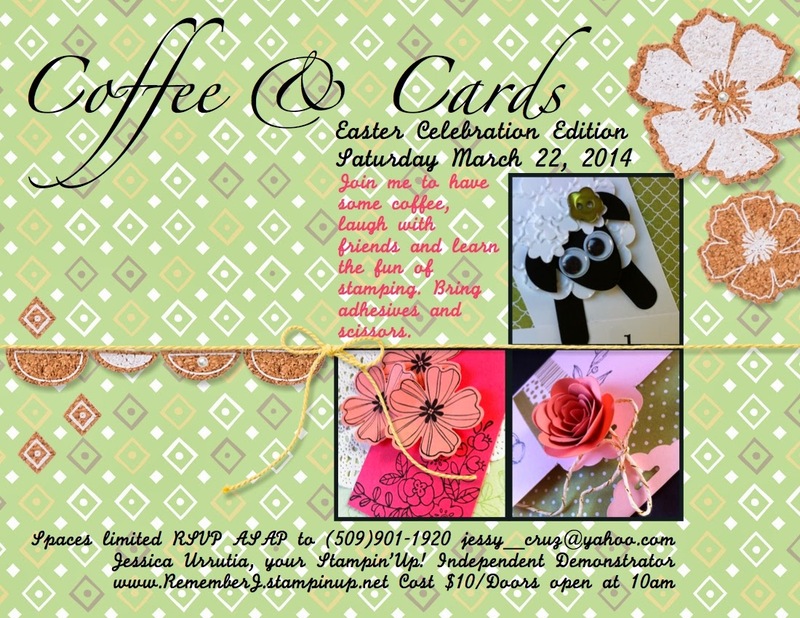 I am already in creative gear for our next Coffee and Cards class on April 12th…I believe I'l be having a bigger group than usual for this one, so why not having two sessions. 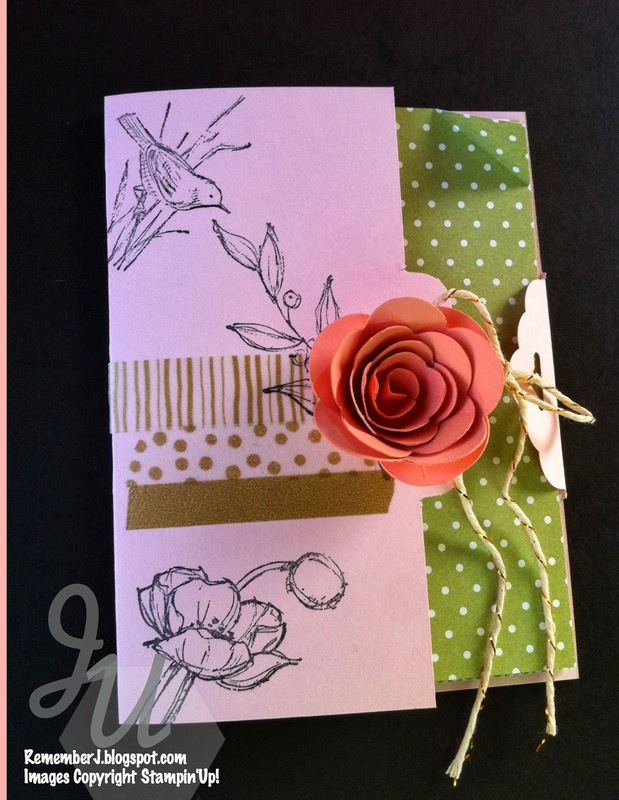 RSVP asap for this one, we will be featuring Mother's Day projects. :0) Stay posted for some samples! Yay! Today, I am grateful for all the ladies that have been venturing out once a month on Saturday mornings to come craft with me. My agenda is very busy at the moment preparing for the different events Im hosting in April and May. See previous post not to miss any of them. 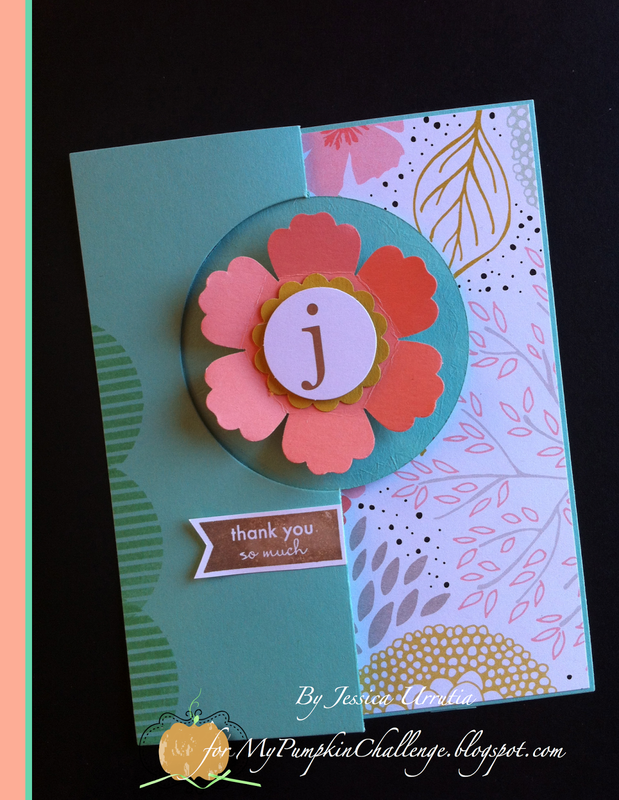 I am making these thank you cards for all my ladies. 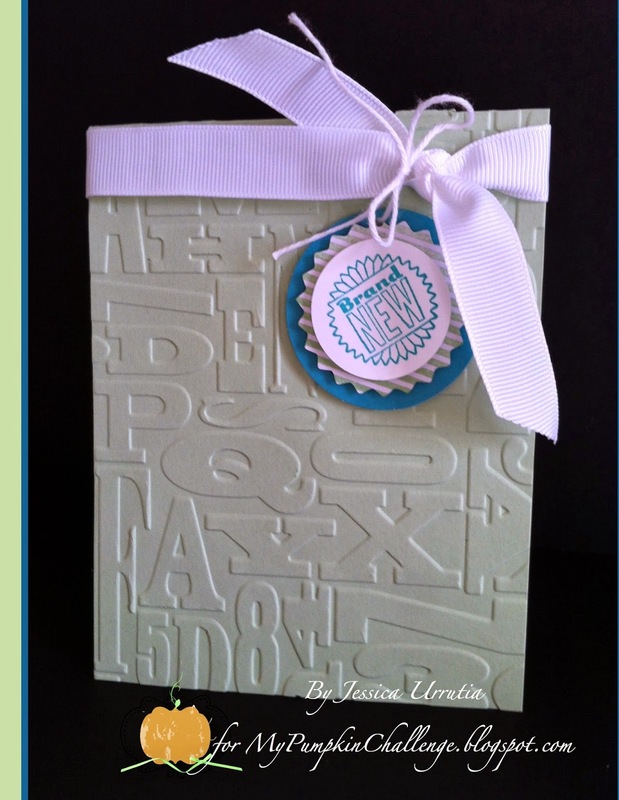 My ladies from class, my downline -who share the wonderful love of Stampin'Up! with me- and my Paper Pumpkin team! I love having them in my life, so here goes a My Paper Pumpkin thank you card for each of them! and I am grateful I can form beautiful friendships through my business. 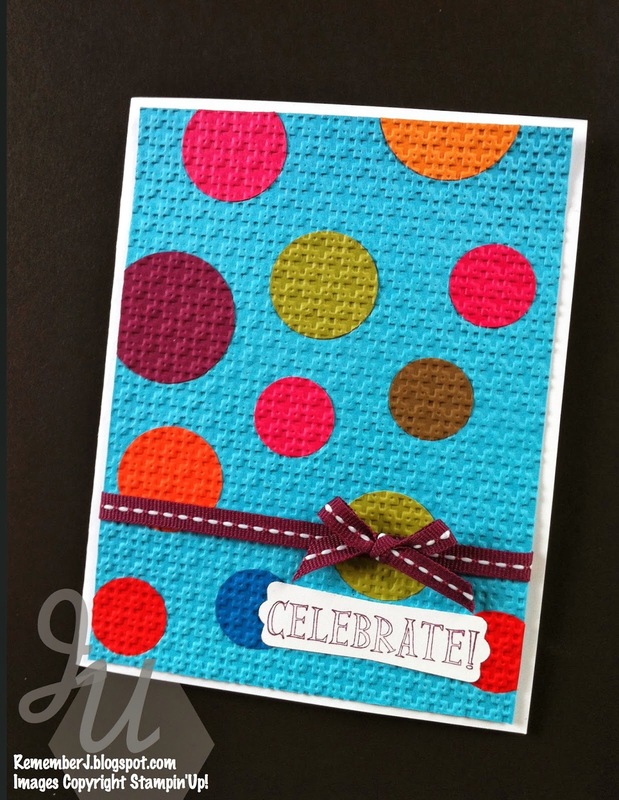 Sweet Sorbet DSP, one of the free Sale-A-Bration items you get for free till March 31st. 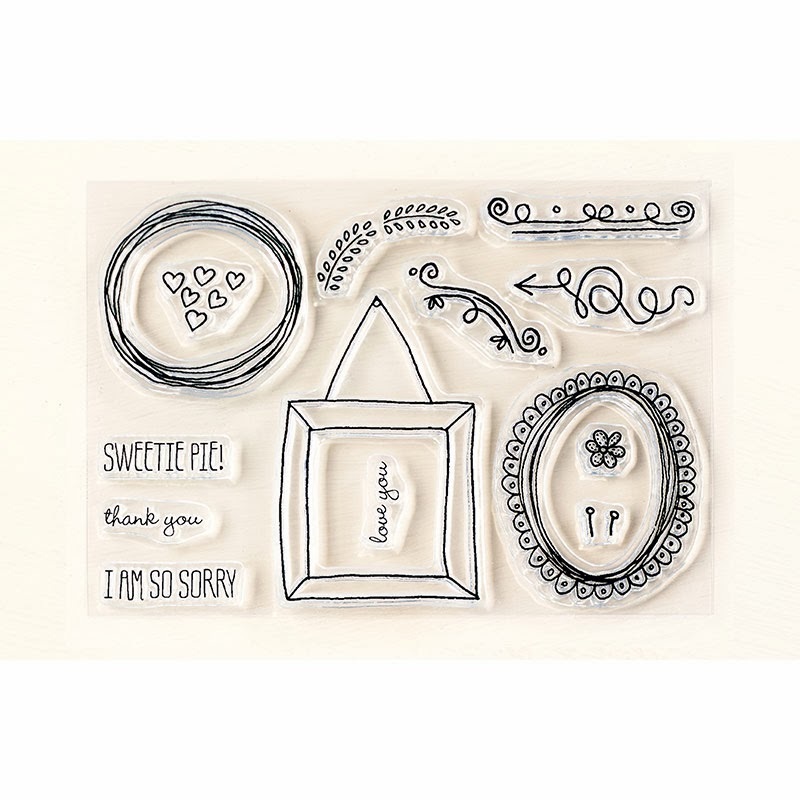 Not sure you noticed this is one of those cute Thinlits card. 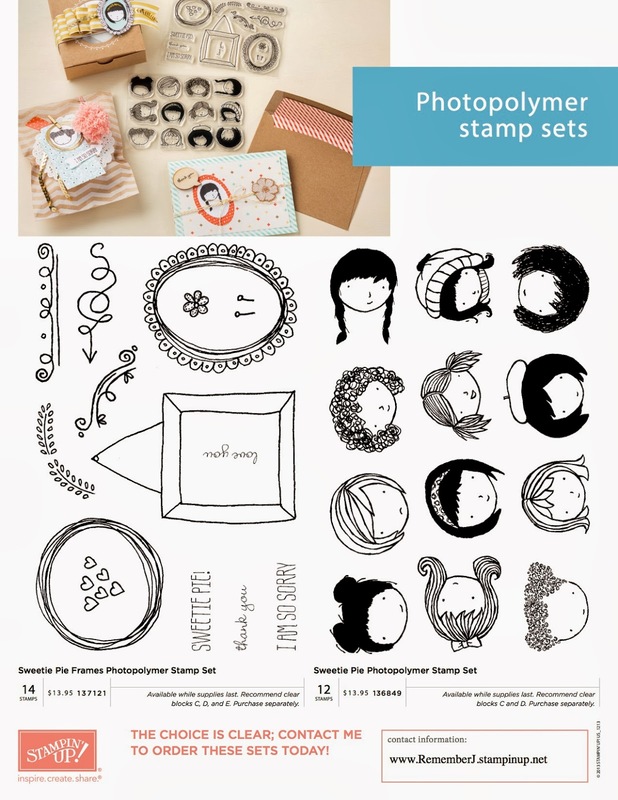 What do you think of the new photopolymer stamps with the kits….cool eh!? Just to inspire you a bit, this quote helped me today to keep walking forward in my business. What goals are you working on…keep moving forward, even if is hard. If you can't walk, then drag yourself. But no matter what, keep moving forward." I've been considering doing some art work for my daughters' room for quiet some time now. I do a lot of things for others but forget to do more decor items in my own home. I went to a store and got myself some pretty white frames and I'm envisioning a wall full of art, their names and their pictures. Sort of a headboard but on the wall. :) In our daily devotionals we have been studying 1 Timothy 6:11 It tells us to pursue righteousness, godliness, faith...so encouraging. One of the illustrations I gave the kids about faith is about a seed. The seed needs good soil (the church), water (the Word of God) and sunshine (God's Presence) to grow. Long story short we focused last week on entering God's presence. 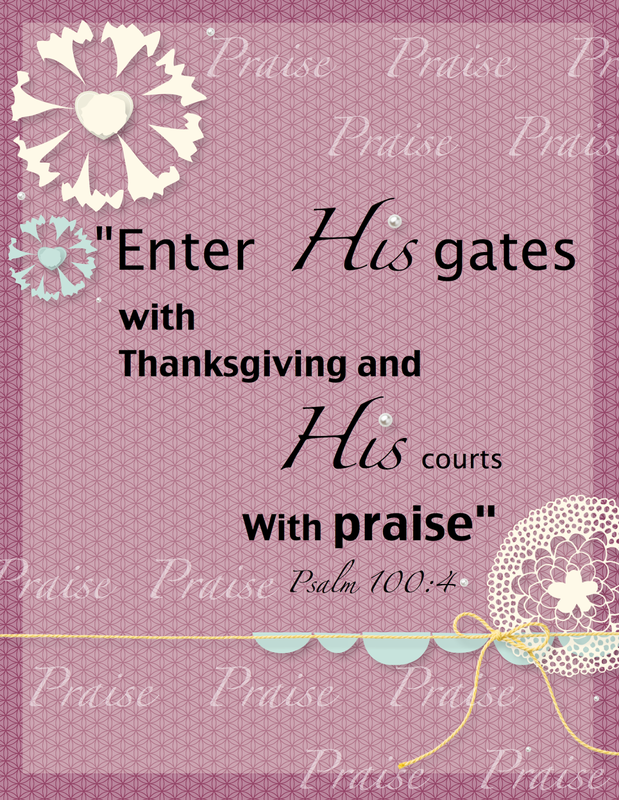 His Word says when we seek God we go to Him with thanksgiving and praise....so here is our memory verse for this week. Having a relationship with Jesus is the most important asset in life…and it is eternal. This I want my kids to know and seek daily. I plan to have several Bible verses and words of encouragement for each of them. I love having these little girls in my life. I am grateful indeed. I made two colors, one for each of my girls. 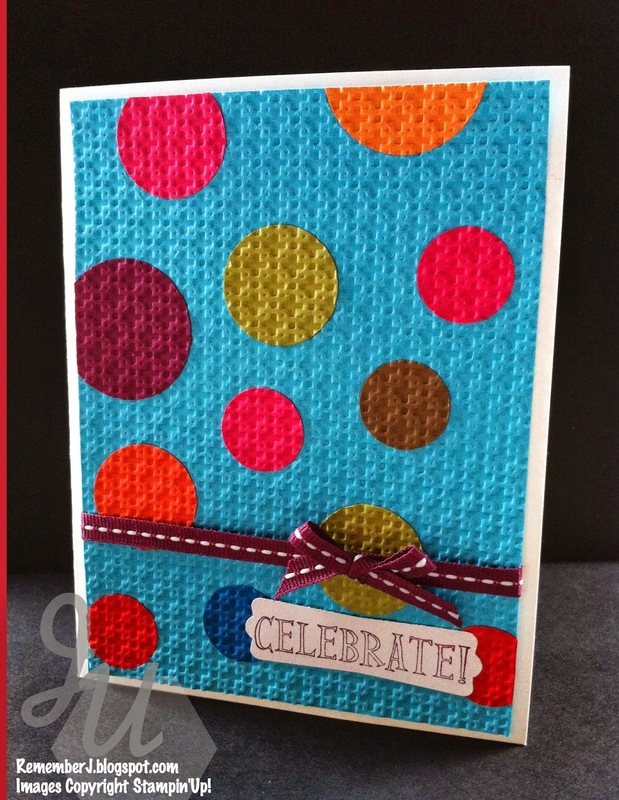 My embellishments all come from the FREE SAB Digital One Big Ensemble you could get when you purchase $50 till March 31st. Wonderful perks for loving this company. 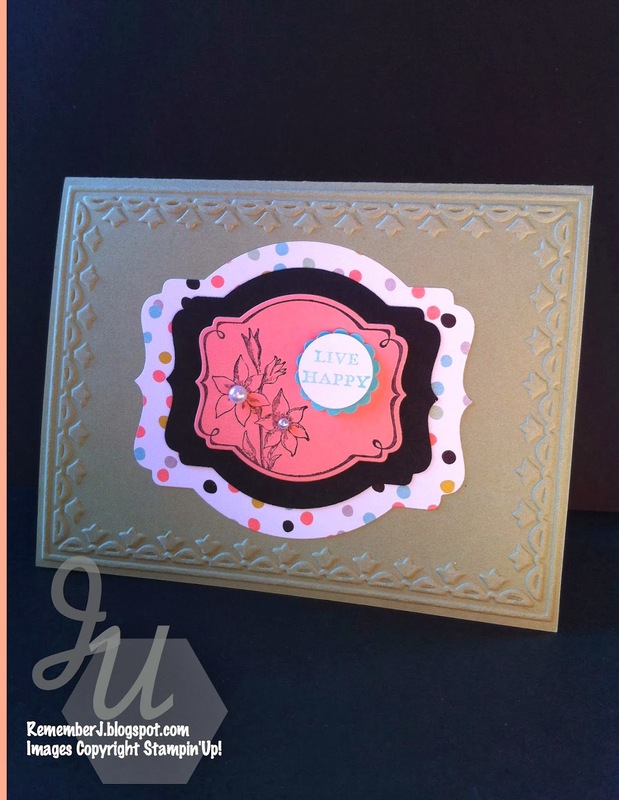 Did you know this month I am a 4yr Stampin'Up! Demonstrator??!!! Yay! 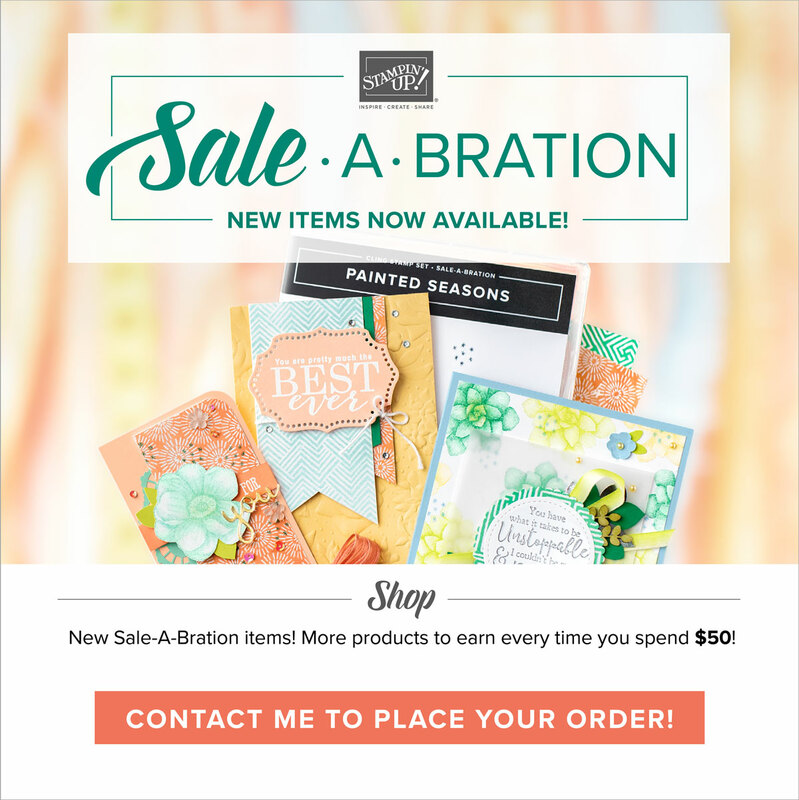 Check out all that Saleabration has to offer. Is so easy and it brings so much! Don't forget to RSVP with time…last day to register for this fantastic day is April 12th. Can't wait to spend this day with you all having fun! Yay! I am so excited to announce a few events I will be hosting in the next two months. First of all I was accepted in the Lewisburg Arts Festival which will take place in our beautiful city on Saturday April 26th. My life gets better every day! So if you are close by stop by Market St coming this special day and enjoy a ton of family fun! Don't forget to stop by my booth. Will give your more details as soon I receive that information. 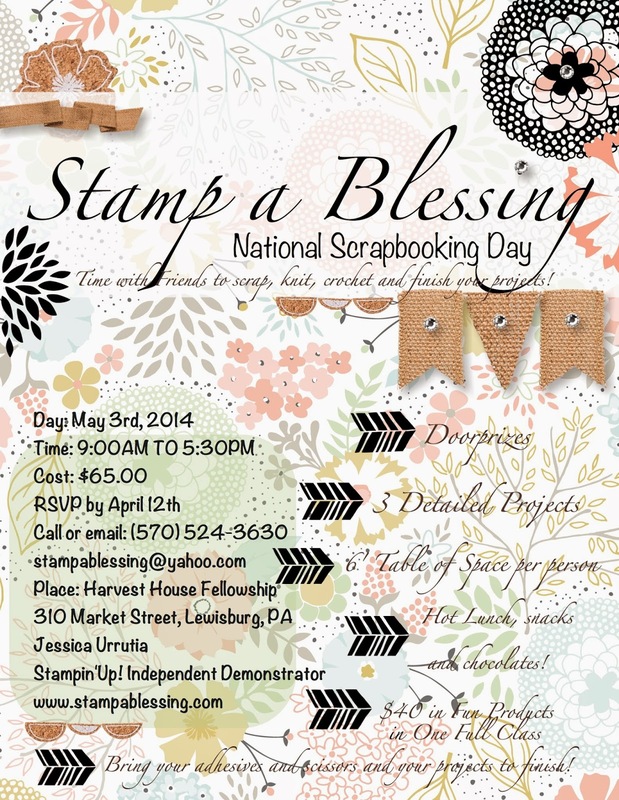 Also, I am hosting at last a 9:00 am to 5:30PM event in my wonderful city of Lewisburg, PA celebrations National Scrapbooking Day. It will be a day full of fun, door prizes, awesome projects and time to either scrapbook, knit, crochet or do whichever hobby you enjoy. 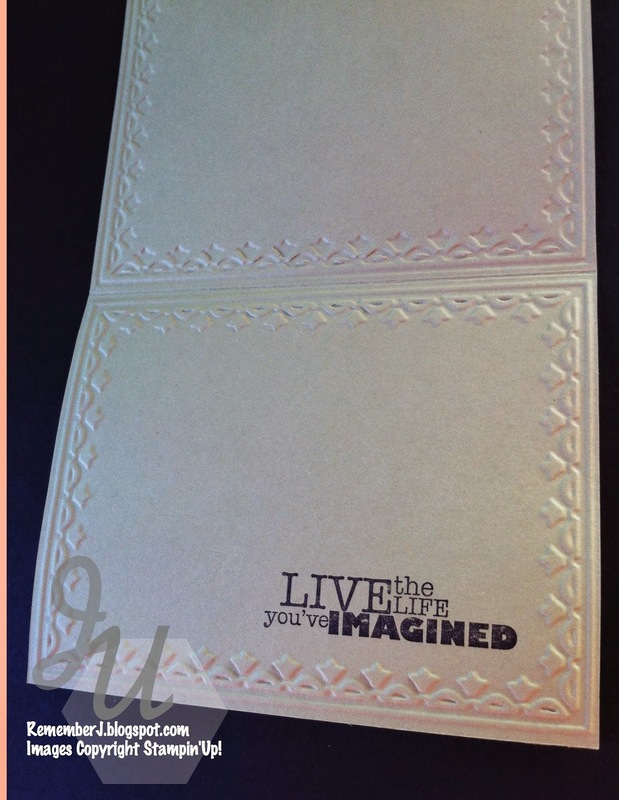 Check out my postcards I made with My Digital Studio and bulletin too! RSVP asap for I only have about 12 spaces open left and cannot wait to meet together with all of you to stamp and inspire each other! 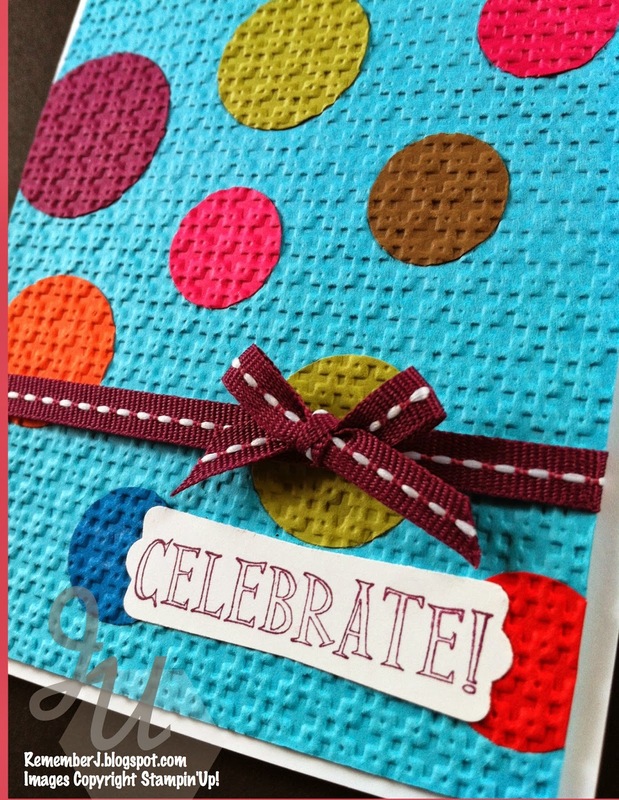 I used those beautiful stamp brushes from Petal Parade and the cork-type embellishments, they are free with a $50 purchase now till March 31st. Don't miss it! 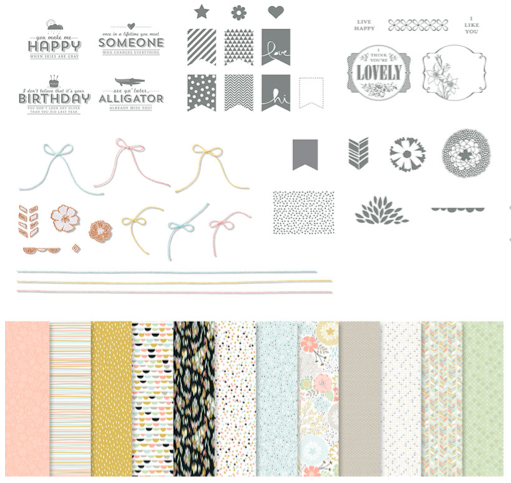 One Big Sale-A-Bration 2014 Digital Ensemble. Look at all it includes! It has a value of $24.95 and right now is free with a $50 purchase of anything in the catalog, clearance, online, Occasions…Yippee! If you are not in town but know of a PA friend who would like to take advantage of this awesome opportunity to have fun, fellowship and laughter while we craft, please share this information! What do you think of my new website banner? 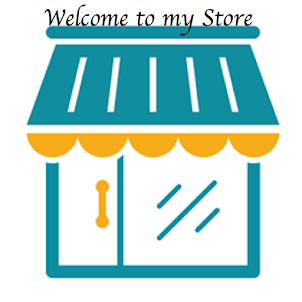 Check my store and other events. I met this sweet lady not long ago who adopted this super cute baby boy. Is like God totally placed this baby in her arms in the right timing. She has only girls and for many years wanted a boy. I met this boy and could not stop thinking of him. 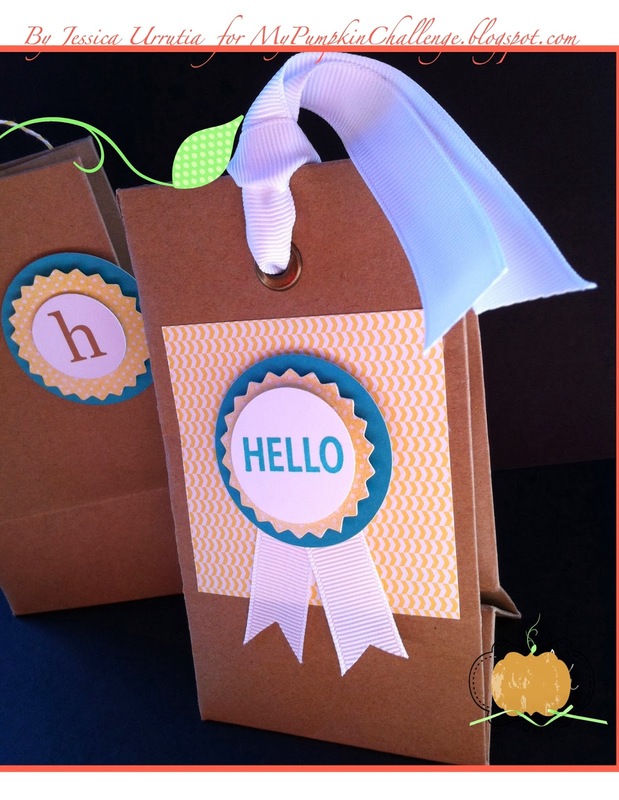 So I made him a little simple bag with a matching card and brought him a welcoming gift. I believe every child needs to be celebrated! God has amazing plans with him and I felt so happy for this family. I love the way they treat each other and how they bless my children too. I'm grateful for the little blessings in Lewisburg, PA. This card (to my BIG surprise) was easy to think and make because of this awesome kits. So glad I got this one. So many cards to make with it indeed. 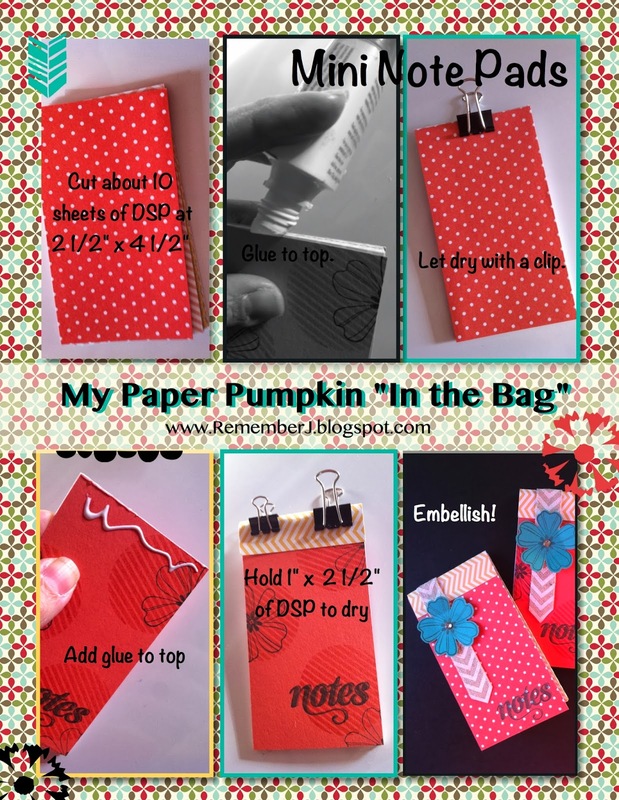 I also was inspired my this month My Pumpkin Challenge: Fun with Circles & Bags. 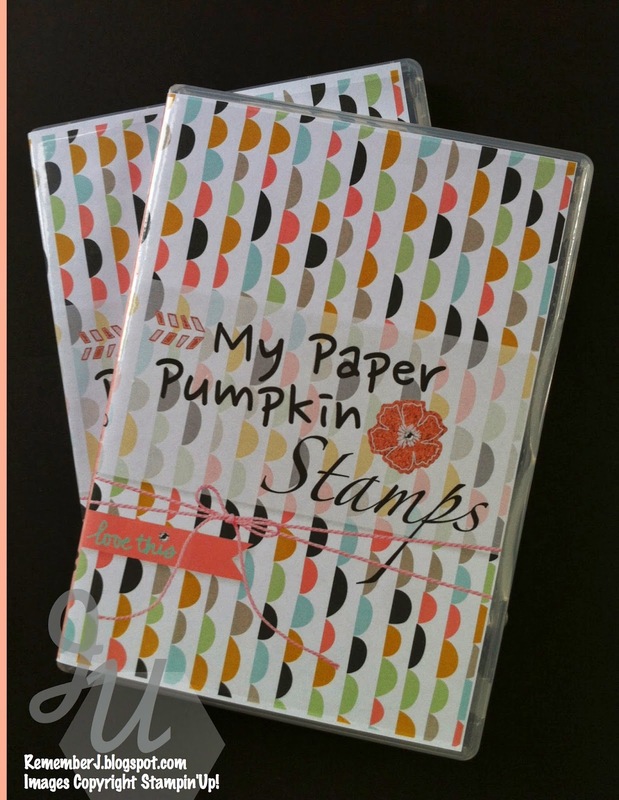 I used the new My Paper Pumpkin photopolymer stamps from 'In The Bag" kit. Cute! My beautiful girlfriends always fill me with joy with their creations. 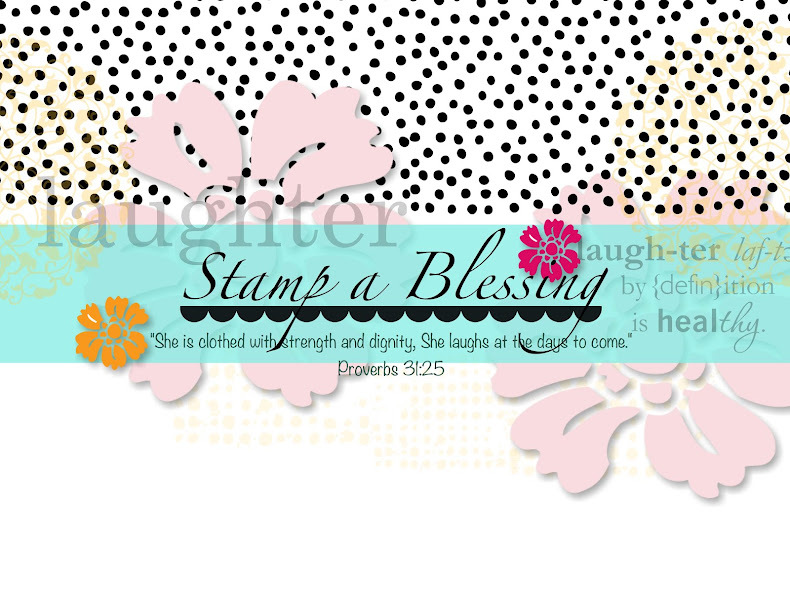 Go visit their blogs today and leave them an encouraging word. They are so amazing every week creating to inspire you and me! Visit My Pumpkin Challenge today! No matter what this day brings I will start the day praising the name of the Lord and doing life with Him. 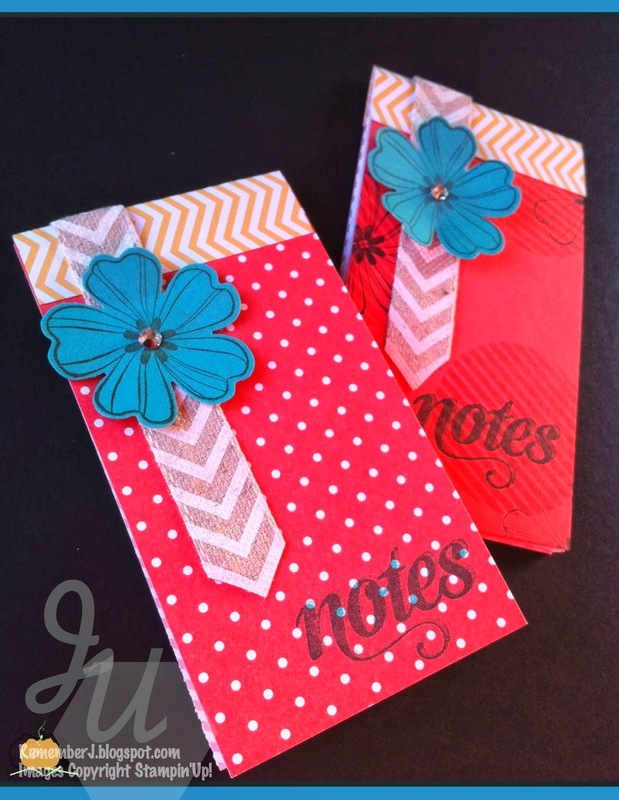 If I teach, clean, stamp or talk…even laundry (hope I can get some done today!) even there I choose to rejoice and praise. 1. 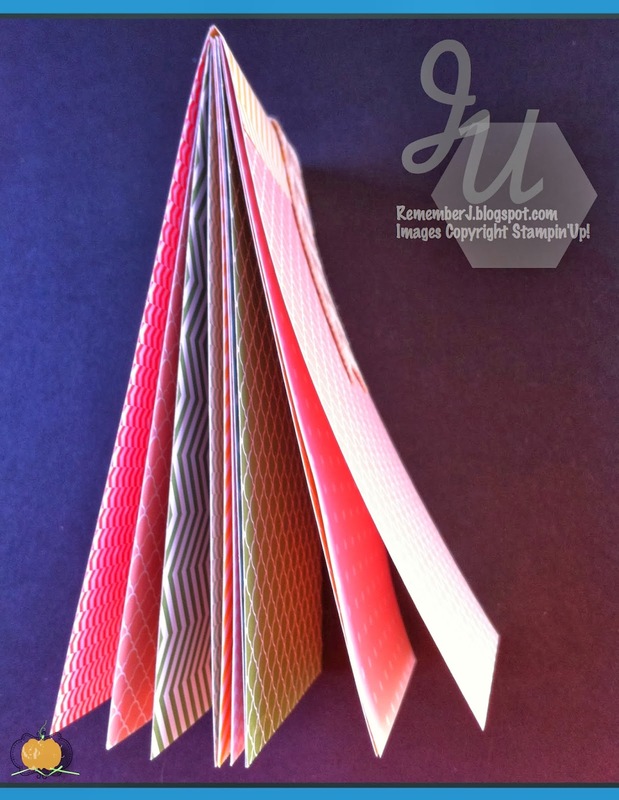 Cut your card stock 6" x 3" and score/fold at 3". 2. 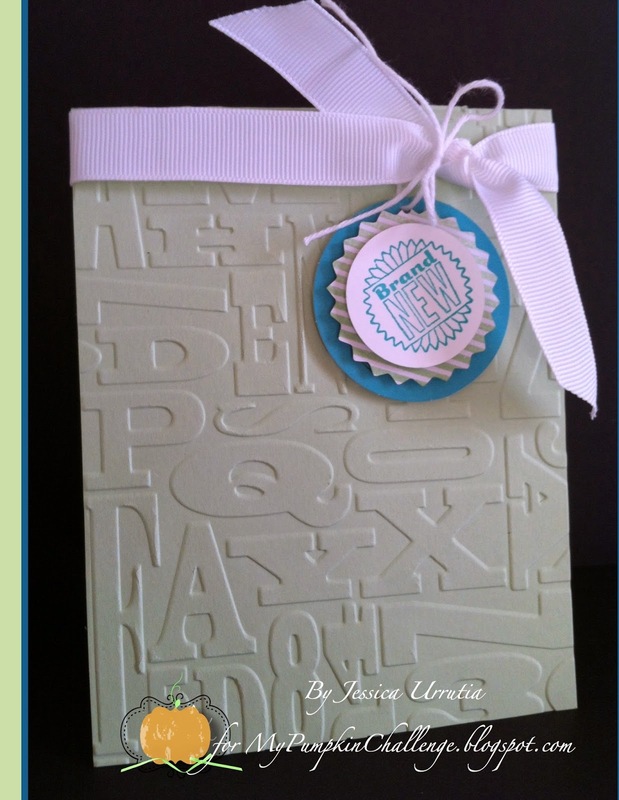 Emboss your card front with the sweet Alphabet Press. 3. 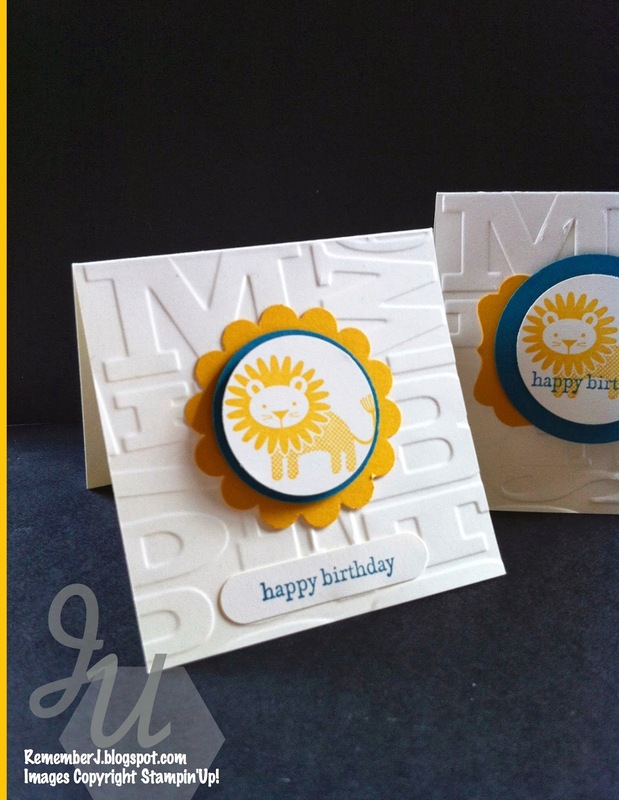 Stamp your cute lion on Very Vanilla CS and punch with the 1 1/4" Circle Punch. 4. Island Indigo 1 3/8" Circle Punch. 5. Crush Curry with Scallop Circle Punch. 6. 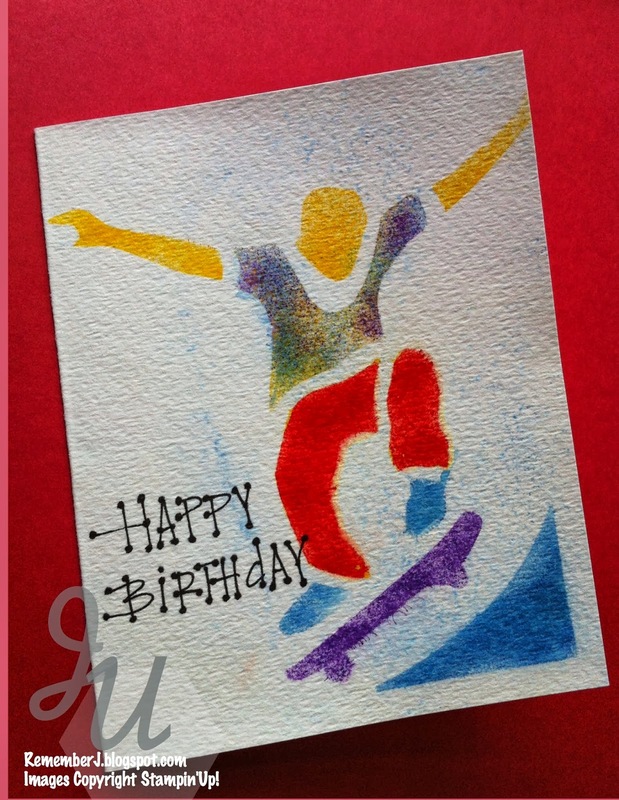 Stamp Teeny Tiny Wishes sentiment "happy birthday" on Very Vanilla and punch with Word Window Punch. Check all these circle punches here. 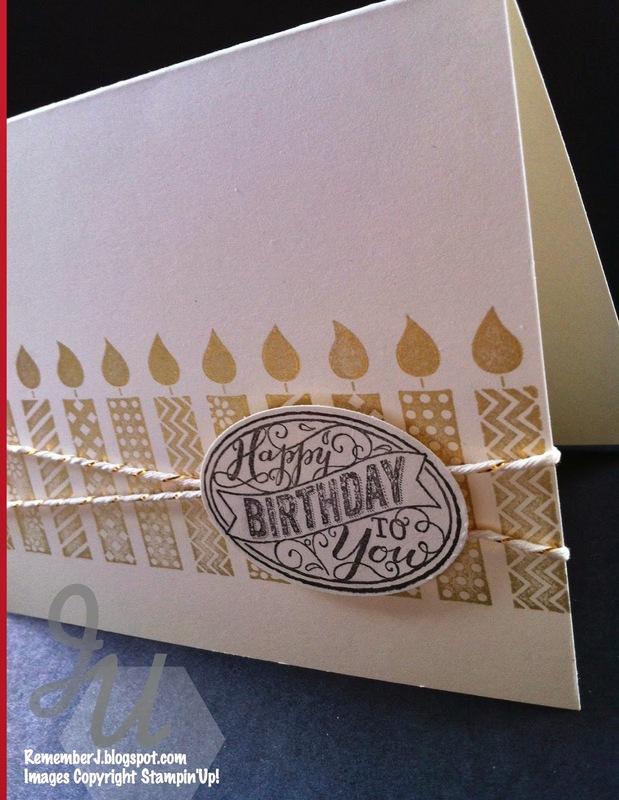 In my next card I used my new Gold Ink Pad. So neat! My Birthday Candles Jumbo Wheel got to good use this time. 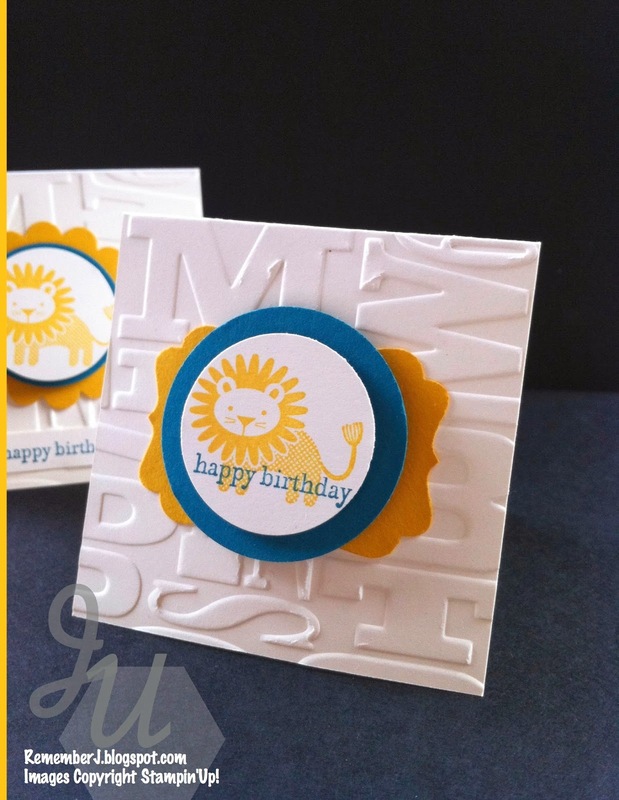 Stamping doesn't have to be difficult. Loving doesn't have to be difficult. A few minutes creating blessings may change someone's entire day. Go craft some blessings! 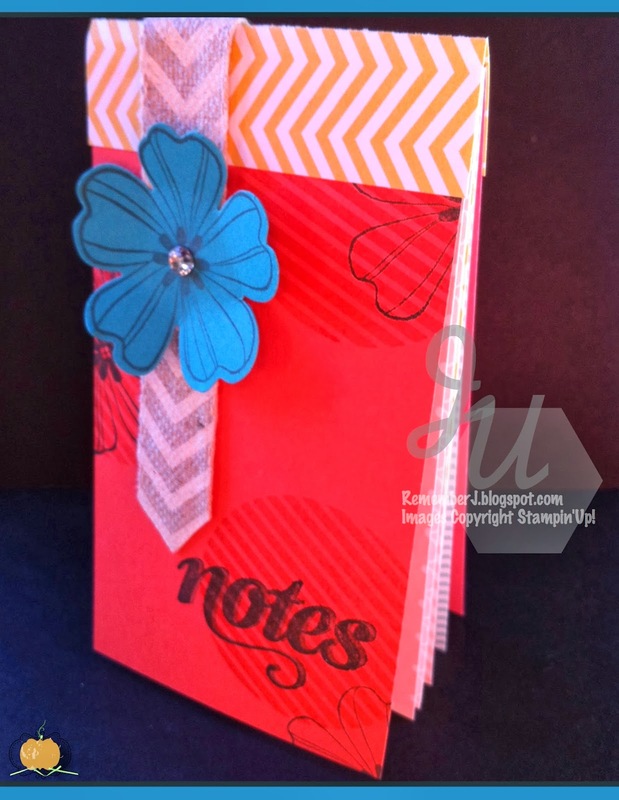 Check out today's update in Stampin'Up! Thanks for stopping by! While you are here browse some of my tutorials, techniques or videos. I can't wait to hear your comments. Which cards you like most? Clean and Simple? Embossed? Super Embellished? Vintage? Digital? Hi there! 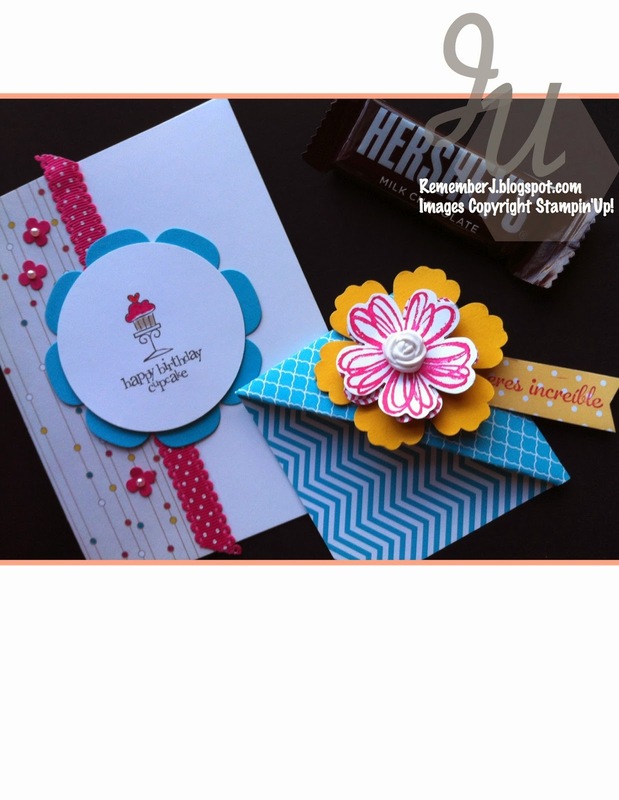 I will show you a peek of the projects we will be making soon on my March 22nd class. Cannot wait to stamp with you all my sweet friends and make beauty together. 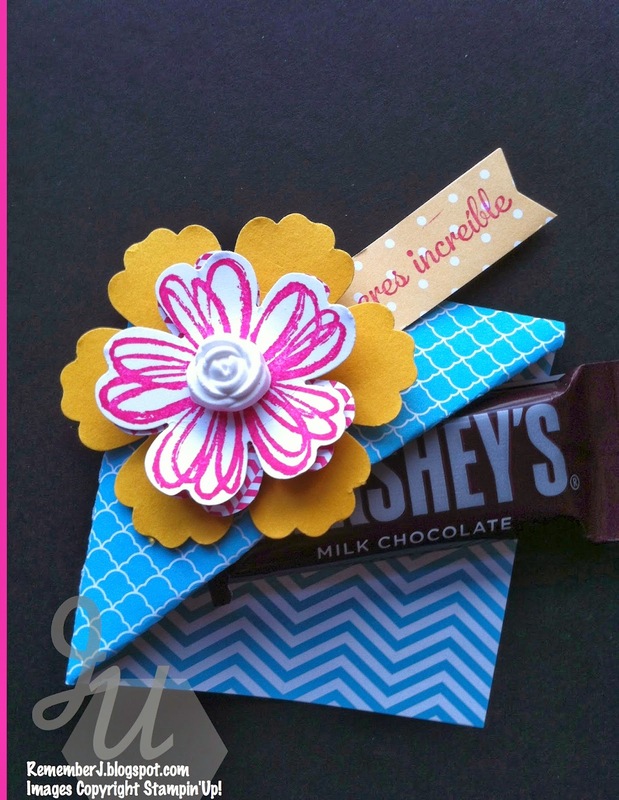 You will love making these for Easter! when you have saved me… gees! I got carried away but I love it! What about joining My Paper Pumpkin before March 31st. 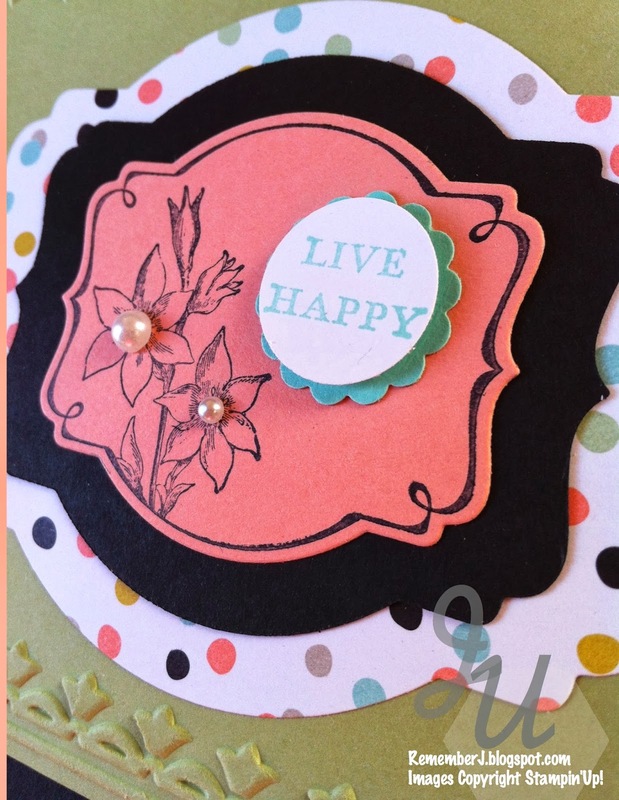 I'm making some more of these for my current My Paper Pumpkin team…join us! Loving MPP kits. Are you!? 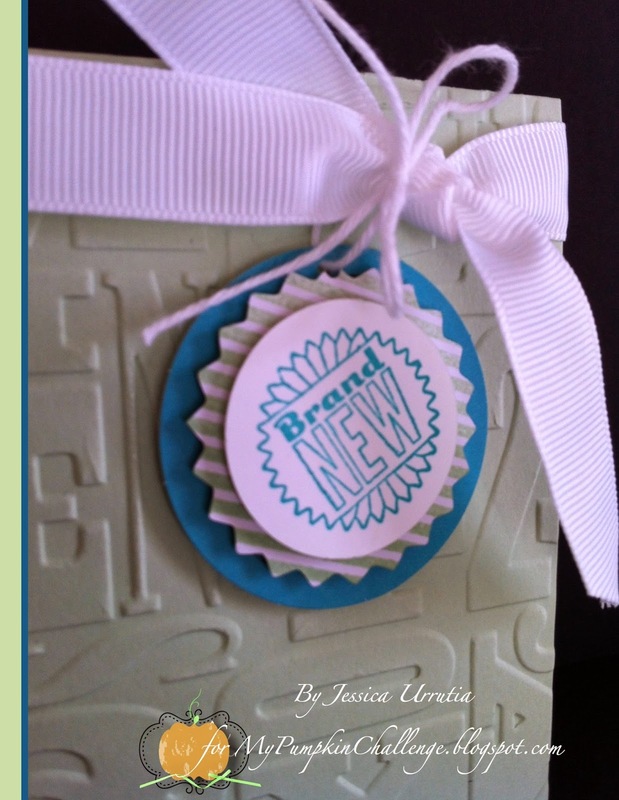 RSVP soon to class and please pray for an awesome opportunity that open for me to meet a ton of new crafters in my area. I will know by Monday if I was picked. I am solo excited! 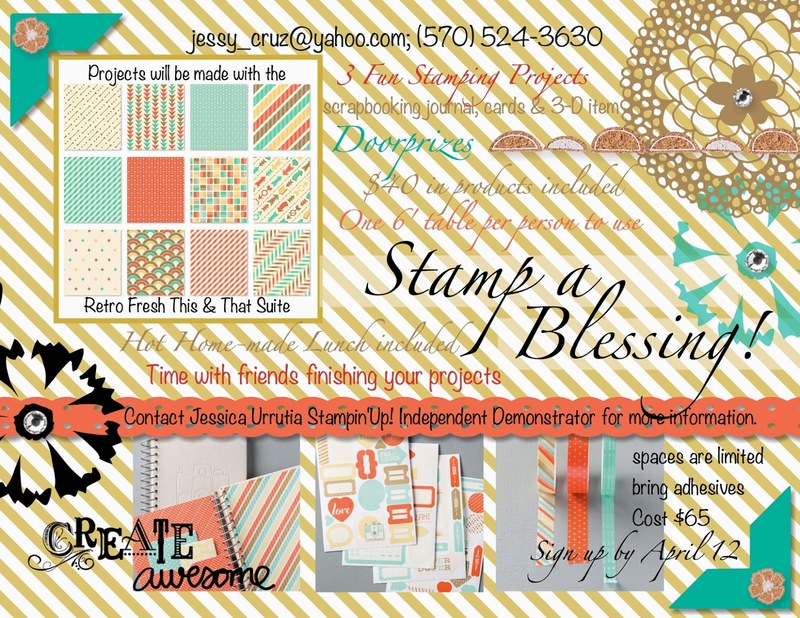 I can't wait to meet PA stampers and Create, Share & Inspire my region. I had to let you hear that tune…enjoy! Love you…stay in touch. Would love to hear how are you doing? I have to share with you today something I made today (meaning Tuesday) and I am so excited!!! But first let me share what I placed in last weeks bags. The flower is from the Flower Shop and coordinating Pansy Punch. 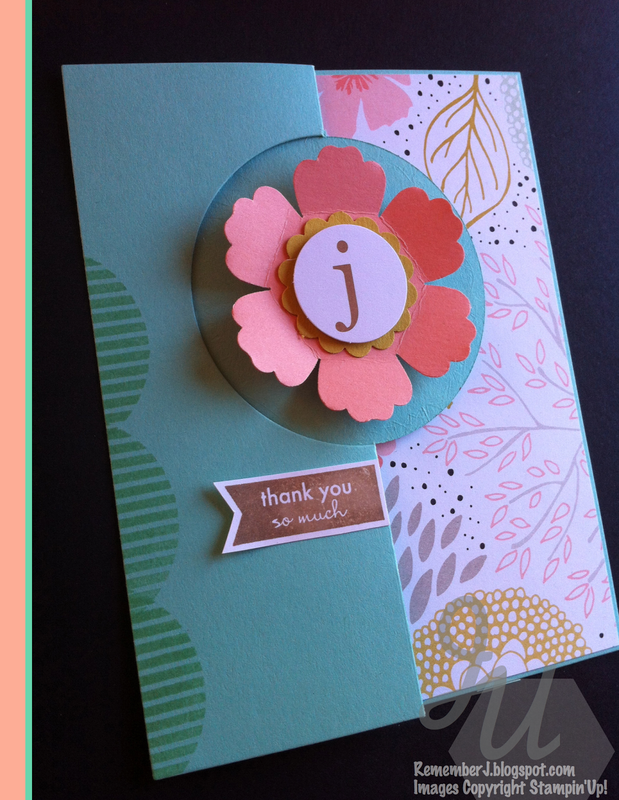 Flowers were stamped onto Bermuda Bay Cardstock. 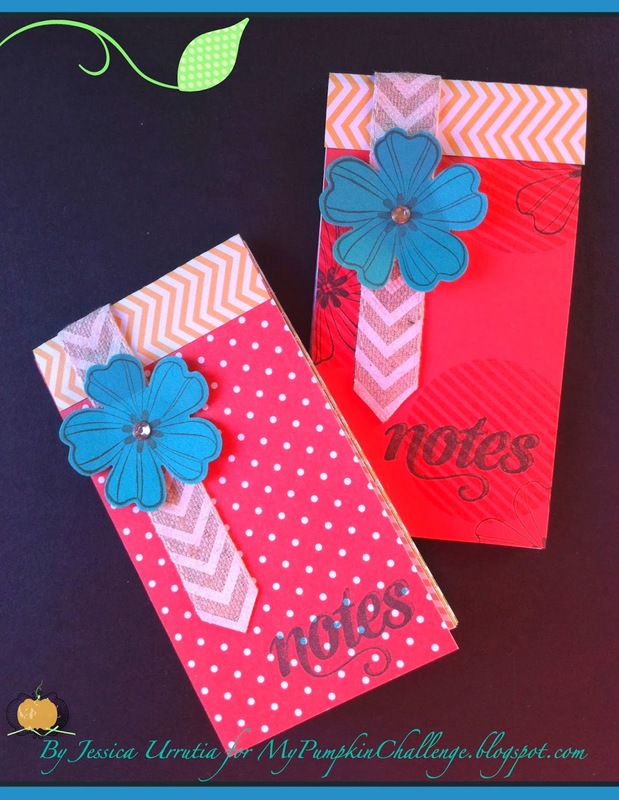 I will post a short tutorial on how I made these tomorrow. Time flies and this mama needs to do kids baths. Lol! Daylight Savings Time owe me an hour…gee! And I already felt behind on a ton of things. Do that happens to you too? I want to do more…accepting my limitations is not something easy to do when everyone arounds me (psst…husband and kids) truly think I am superwoman. Am I starting to think I am? Ha! I am nooooot….but I take the challenge every morning trusting what the Word says.."He has equipped you with everything you need for life and godliness." (Hebrews 13:21) Love it! Have a blessed day and visit My Pumpkin Challenge today. Many beautiful creations from my designer friends Boni, Cathy and Heather! 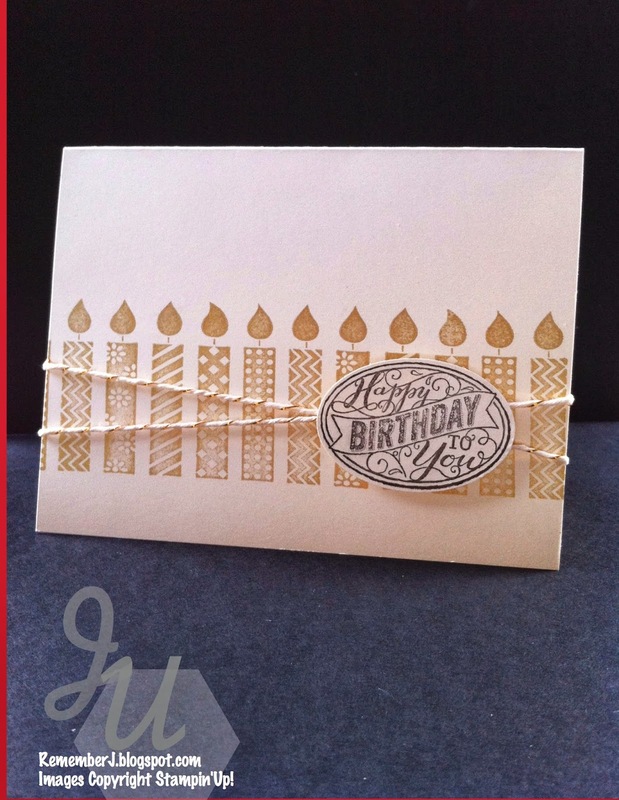 Oooh, and I almost forget…take a little peek into what I made today for youuu! Oh my dear friends I am so excited! 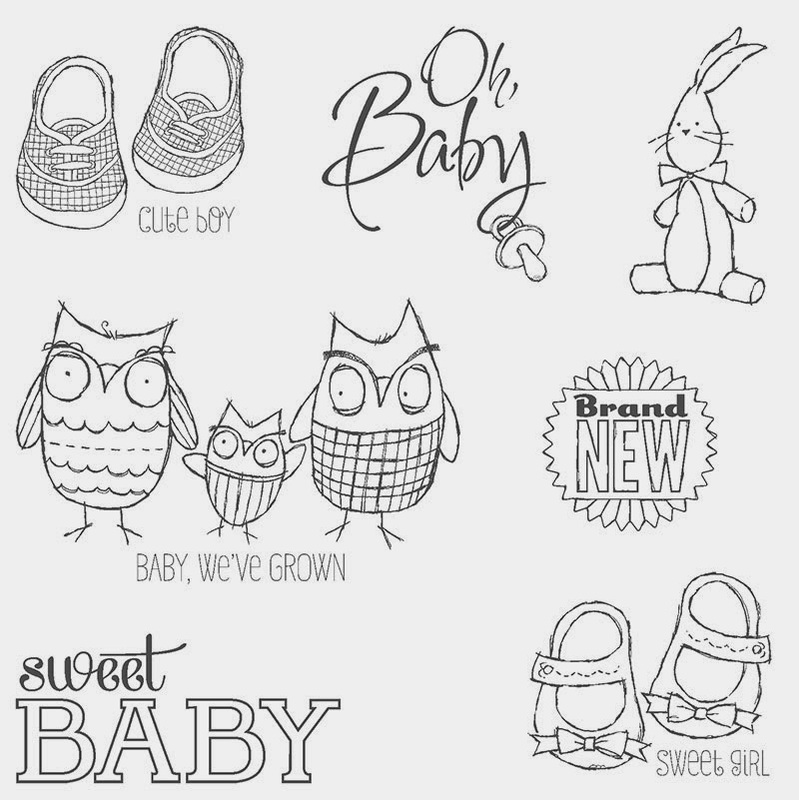 I have to share with you this super duper cute stamp set that came out today from Stampin'Up! 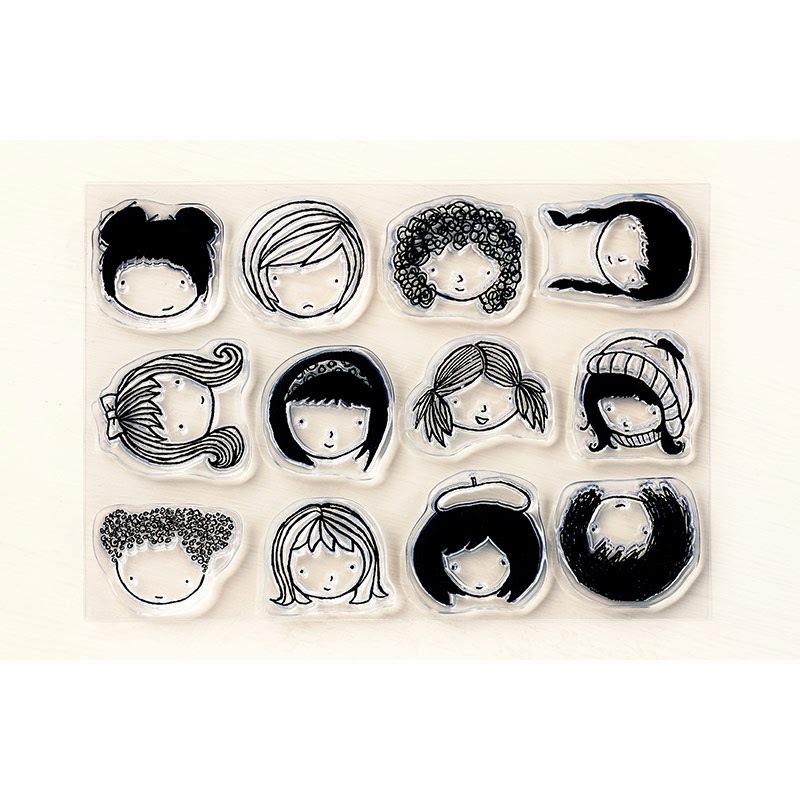 I've been wanting some cute little faces for a long time since they retired the All in the Family stamp set (which my daughters totally love). I cannot wait to get this one. I am so excited like a little girl who just got a gift. 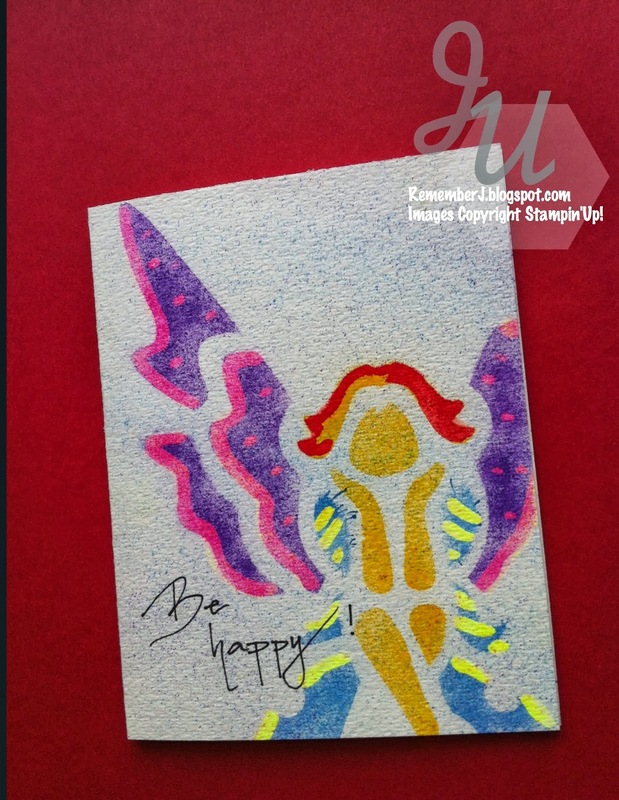 Check out some cards I mailed this week to my current customers. So happy happy to inspire them a bit. let me know when you get yours! Yay! Gotta have some bling so my Basic Jewels pearls add a bit of bling. 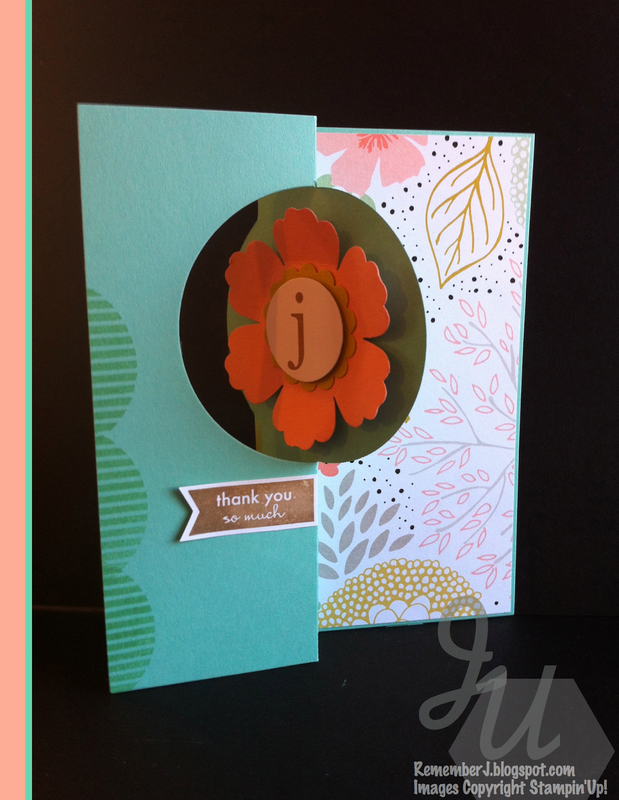 My 7/8" scallop circle punch and 3/4" circle punch, love it! Free with a $50 purchase. Yay! Check the SAB brochure here to see what you can have for free today! 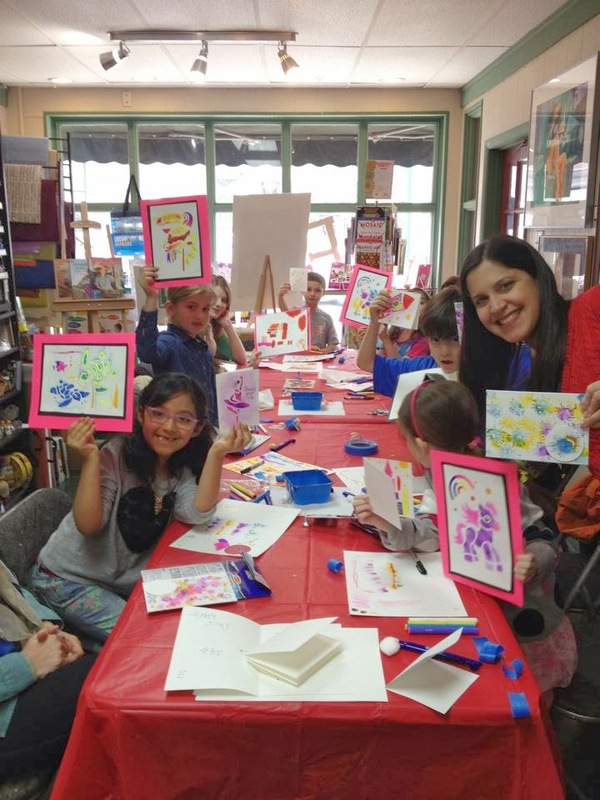 Last but not least…my Art Class for the kids last Saturday went awesome. We had full house and the moms were asking if when we were going to have more classes. So excited to bless my new community and so thankful for Brushstrokes Art Store and gallery owner Kathy and Randy who were so welcoming and helpful. I'm loving Lewisburg! Some photos below! Check My Events on my demo site….eeek! 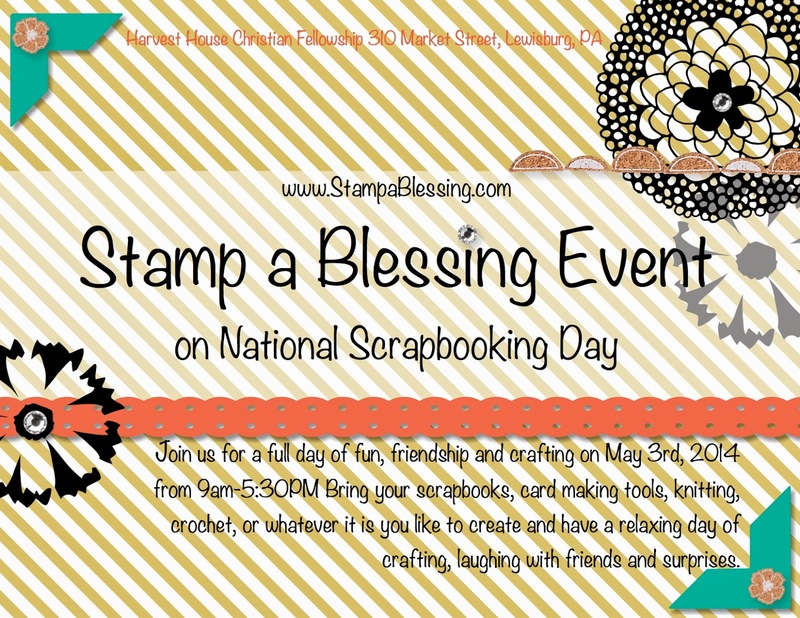 National Scrapbooking Day Event is coming and you won't want to miss it. More information in the next weeks. Separate the date: May 3rd All Day!! !